I left Seattle on Monday for my job and arrived home again near midnight last night. I woke up four hours later because there is very little justice or fairness in the world. Before my eyes would focus properly, I saw messages from friends on Facebook that alerted me to the two new tracks I’ve collected here. I have a fuckton of other new music to sift through since I didn’t have time to assemble a SEEN AND HEARD round-up while I was out of town, but I decided to get these two tracks up on the site without delay, even before the coffee kicks in. Three years after Blood Mantra, Poland’s mighty Decapitated are returning with a new album named Anticult, which will be released by Nuclear Blast on July 7th. Last night the album’s memorable cover art appeared on the web, and this morning, before the sun rose out here on the U.S. west coast, Decapitated detonated a video for a new song named “Never“. I would guess that the choice of what song to release as the first single from an album is always a challenging one, but perhaps especially for bands like Decapitated who have a massive fan base and a significant discography behind them, and perhaps even more especially for a band like Decapitated whose creative impulses have led them to branch out from the sounds that elevated them to prominence in the first place. The one that Decapitated (and Nuclear Blast) chose for the first single from Anticult is a turbocharged scorcher, though not without its digressions from a blood-pumping, head-battering pace. It may not be as interesting or as distinctive as the best tracks on Blood Mantra, more like red meat for the carnivores, but I like it anyway, especially because it has helped me wake up after four hours of sleep. Please do feel welcome to offer your own reactions in the comments. 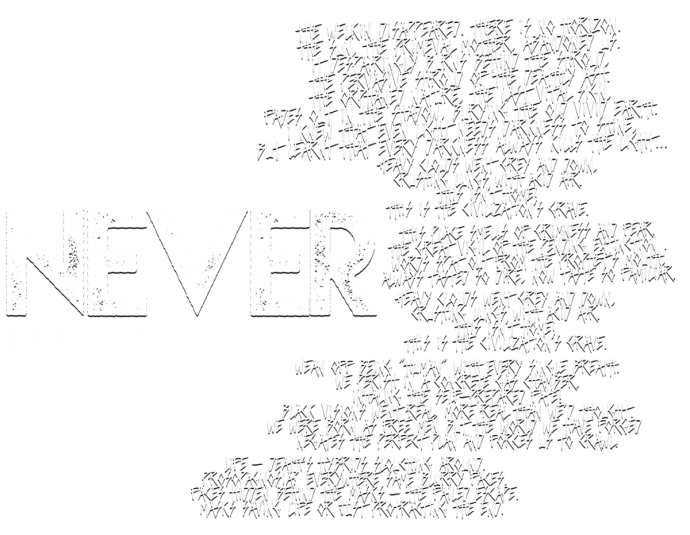 Gods Forsaken is a new band whose three members have also been fixtures in Just Before Dawn, and if you don’t recognize that name then you haven’t been loitering around this site for very long. Yes, Gods Forsaken consists of Anders Biazzi (guitars, bass), Jonny Pettersson (vocals), and Brynjar Helgetun (drums). There will be some guest appearances on their forthcoming album, too, including solos by the likes of Gustav Myrin (ex-Blood Mortized), Daniel Gustavsson (Demonical, Tormention), and Thomas V Jäger (Monolord). 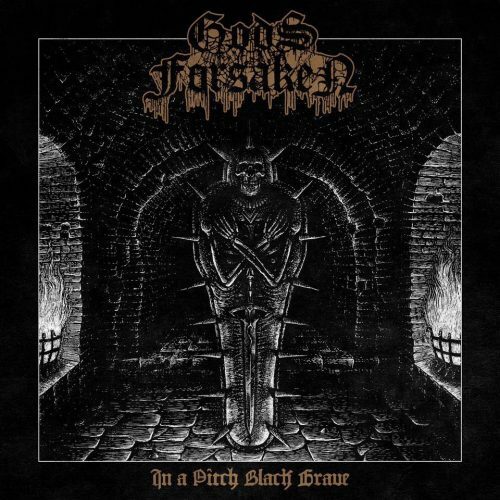 The debut album of Gods Forsaken is named In A Pitch Black Grave and it will be released by Soulseller Records in May. The very cool cover art is by Patrik Tegnander at Chainsaw Design (he’s also a member of Gravebomb). I reported all this same news back in February when it first appeared, but this morning Gods Forsaken finally released a song from the album. The track is “Born of Blasphemy“, and it bears out the band’s stated desire “to play filthy old school Swedish Death Metal with no frills”, deploying “an arsenal of raw, buzzsaw driven Death Metal” that draws on antecedents from the late ’80s and early ’90s. And if you don’t feel you need any more of that, you’re really testing our friendship. I started this little two-song post with a scorcher and a head-batterer, and “Born of Blasphemy” is a scorcher and a head-batterer, too. Pettersson sounds like a panther in the throes of a blood lust, and the whole song is just as vicious. Biazzi’s riffs are simply massive, supremely destructive when in marauding mode, and groaning like a dying leviathan in the slower passages, while Helgetun’s drumming is an unchained demolition machine operating on overdrive — except when he’s methodically pounding your fracturing head right down into the ground. And on top of all that, there are some diseased melodies, and Gustav Myrin laying down some queasy soloing, that flavor the song with that old-school atmosphere of occult, paranormal horror. This is sounding as good as I hoped, and expected. The drumming on Blood Mantra and this new offering are atrocious !! Bring back Lechner !!!!! That Gods Forsaken song is a monster. Looking forward to hearing more!